Nokia Lumia 1320 sequel to come with 14MP PureView camera on back and 5MP "selfie" camera up front? The Nokia Lumia 1320 is the poor man's phablet on the Windows Phone platform. Sure, it has a 6-inch screen just like the Nokia Lumia 1520, but that is where the similarities end. The Lumia 1320 screen has a lower 720 x 1280 resolution compared to the 1080 x 1920 resolution on the Lumia 1520. And there is a big difference in the silicon employed on each phablet. The Lumia 1520 is powered by a quad-core 2.2GHz Snapdragon 800 CPU while the Lumia 1320 is powered by a dual-core 1.7GHz Snapdragon S4 processor. Lastly, the 20MP rear camera on the Lumia 1520 is vastly superior to the 5MP rear snapper on the Lumia 1320. Now, there is talk about a sequel to the Nokia Lumia 1320, dubbed the Lumia 1330. Speculation calls for the device to come equipped with a 5.7-inch display, with resolution of 720 x 1280. A quad-core Snapdragon 400 CPU is under the hood along with the Adreno 305 GPU. 1GB of RAM is on board along with 32GB of native storage. The biggest improvement to the sequel will apparently be with the back and front-facing cameras. The Lumia 1330 is expected to have a 14MP PureView snapper on back and a 5MP "selfie" camera on front. That is a huge bump from the 5MP rear-facing camera and the 1.2MP front-facing camera that is found on the Lumia 1320. The Lumia 1330 could be unveiled by Microsoft at MWC in March, pre-installed with Windows Phone 8.1 GDR 2. 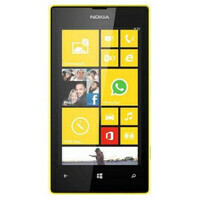 According to data found by Windows Phone cross-promotion network AdDuplex, the successor to the Nokia Lumia 1320 will have four different variants. The model numbers will be RM-1062, RM-1063, RM-1064 and RM-1065. If true, this will make a great affordable phablet. "karait300 is better than cortex a7" It's not really night and day diff. Regardless if upcoming WP10 won't support aarch64 mode or not, using a SD400 at this point in time/year is just piss poor timing especially if this 1330 is slated down couple of months more. What's gonna be the saving factor? The price? By the time it's out this is gonna go up against far more aggressively priced/specced budget droid phablets. I don't think they make Snapdragon 600's anymore. It would be a dumb mistake to replace the S4 with a S400 (slower), unless it's a S410. i think ms optimize wp to run faster on newer qualcom processor like sd400 and sd200 but in reality s4 is faster than sd400. i can give you android example. -moto x 2013 use s4 -moto g 2013 use sd400 so you want to claim motorola made mistake by use slower chip on flagship and faster chip on budget smartphone? Dual core Krait 300 @1.7 Ghz vs. Possibly quadcore Cortex A7 @ 1.4 Ghz, or just look benchmarks of the 1320 vs. The 730. The 1320 has a really good processor. GPU is slower, which most games dont require high end gpu, the 305 is just fine at workign its paces. The 400 is faster than the S4 in cpu benchmarks. Double SIM variant with 4g support would be nice, and of course sd card slot. This is not a bad "mid-range" option, at least on paper. The 5.7" could work better, depending on bezels and the length of the phone. (I prefer Big Boned Phones to be a tad skinnier to allow for easier grip.) WP seems content to push mid-range to low-end devices to build marketshare. While it blows for me as a consumer that wants a top end Lumia, it is a sound business model that is working better than the 4 year attempt to compete with the iPhone and Hero Androids. This is an excellent way to add another form factor to help appeal to those buyers. Not really WP content at the mid-range, currently it would be the nexus 6 vs 1520, not really anything else for MS vs Google. What we should be caring about other OEM's that carry the google weight to also carry the weight when talking WP. It doesn't compete? Form factor it does. Maybe the camera? voice recording as well, we could argue OS but that is all, opinion. SD slot (even though i am not a sd champion) Camera, 4 mic with dolby digital recording, vs 3mics (nexus) Really the only thing that is beyond the 1520 is the SOC and Screen not much else. 3gb vs 2gb is irrelevant because of OS. Not sure if consumers (outside of a handful of loyal WP users like me and a few others on this site and those on sites like WP Central) care at all about top end Windows Phones. When we look at the growth of WP (yes, oh MS bashers- there has been growth) it is all low to mid range devices. Outside of the 920, there hasn't been a WP8 top end device that has sold all that well. The 1520 held it's own on AT&T, but didn't make a dent internationally. The L1020 had a great launch, but sold sparingly afterwards. I think MS is reacting to the market. Building a consumer base is happening. But... wow is it painfully slow. My only observation is that the HTC One m8 for Windows is a nice example of what could happen if MS can get HTC, Samsung, LG, and some other OEMs to push out a device or two every 8-10 months based of Android Hardware already in production. Of course I think MS will release 1520/1020 follow ups, but why compete with the OEMs you just signed on? Let them have the Hero device sales, MS handles what they are doing now, and MS helps in payong for promotion. Has to work better than what us WP users have been suffering through so far since 2010. Sigh here we go again. When people are announcing S810 + 3K/4K phones they stick with this crap and push their real flagships so far back the chance of them being relevant is next to nil. Always loved the Windows Phone platform but their non-compelling phones always make buying one an afterthought for me. I would agree, however, the 810 isnt out, this phone is not supposed to be a flagship, its for people wanting a phablet without spending 700. Not to mention i would pit the s5 flagship any day vs the 930 flagship.